Register for Microgrid 2019 now and receive a limited-time $350 discount for the May 14-16 conference in San Diego, California. Day 1 will delve into markets and policy; Day 2 will educate potential microgrid customers about distributed energy; and Day 3 will feature tours of real-world microgrids in San Diego, home to some of the most sophisticated projects. Microgrid 2019 participants will range from top industry leaders to first-time microgrid customers seeking product information. The event is geared for energy developers, utilities, engineering and consulting firms, government agencies, energy service companies, equipment manufacturers, system integrators, control and data specialists, attorneys, financial specialists, innovators and software companies, researchers, environmental advocates, and contractors, builders, architects and planners. The conference also is expected to attract energy customers who use microgrids or are considering doing so, among them businesses, real estate developers, hospitals, colleges and universities, data center operators, military and public safety officials, communities, and port, transit and airport operators. 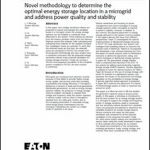 “Our microgrid conference series is now the premiere event within the industry, unique in that it promotes all forms of microgrids, independent of generation type, ownership model or manufacturer. 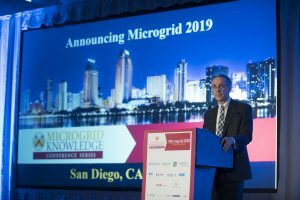 This is in keeping with Microgrid Knowledge’s mission as the largest online information resource for the industry,” said Kevin Normandeau, publisher of Microgrid Knowledge. 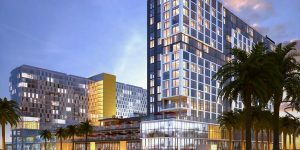 Participants will have the opportunity to network extensively in an attractive setting — the InterContinental in downtown San Diego’s BRIC (Broadway and Pacific Highway) region. The venue also is within walking distance to some of the city’s most popular restaurants and in close proximity to the airport. Overlooking San Diego Bay, the hotel features ocean-view rooms and terraces. Register for Microgrid 2019 now and save $350 on the premiere microgrid event of the year. The discount ends Jan. 31 2019, unless tickets sell out before that date. For sponsorship information, contact Kevin@MicrogridKnowledge.com, 508-259-8570.